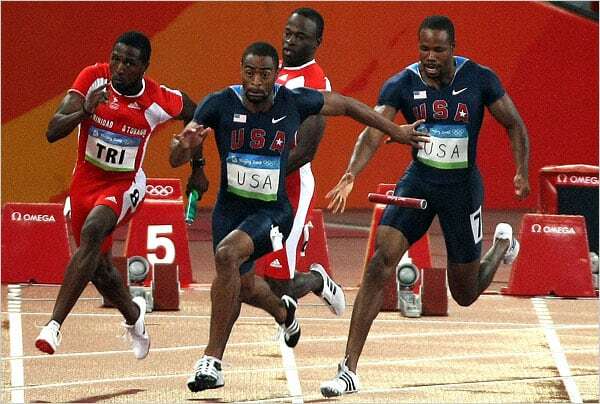 Track and Field is a visual sport. Just watch the power and finesse of Usain Bolt or Allyson Felix. Fast. Strong. Graceful. But there are some sounds that make me cringe. So here are the top 6 “sounds” that you hate to hear, as a Track and Field Athlete or Coach. … coming from a young guy! Imperial measurements, especially the 100 yard dash, were abolished in 1977 (along with hand times.. see next rant below). 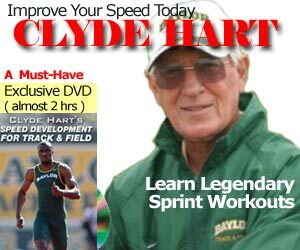 So unless you are an American over 55 or 60 years old, you didn’t run a 100 yard dash. 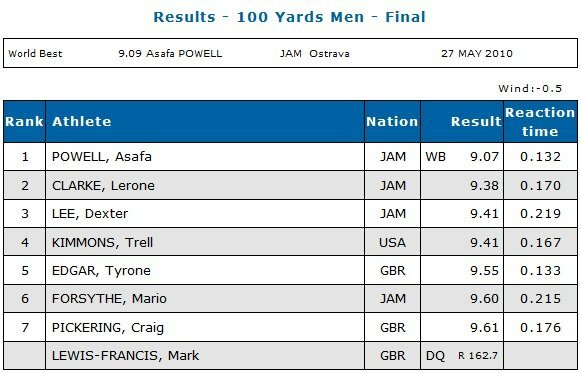 The WR for the 100 yard dash is by Asafa Powell with a 9.07 (-0.5) clocking back in 2010. I hate hand times. Is that really 10.2 or was it a 10.44? Or was it really a 10.3 or 10.4 which makes it a 10.54 or 10.64? Did the timer start the watch from the smoke, and not the sound of the gun? Please, if I ask your PB for the 100m, I want to hear FAT times, times to the hundredths of a second! Don’t round up to hand. 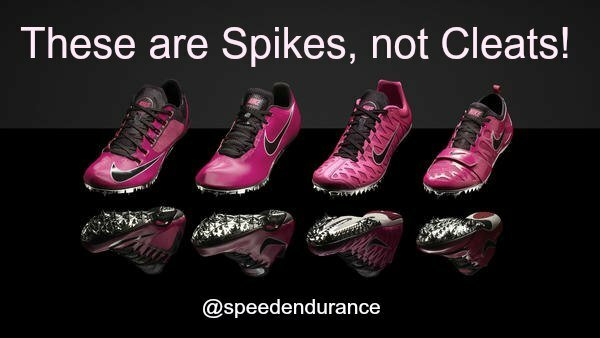 Argh, they are called Spikes, not Cleats. This isn’t soccer. Bang is good. Bang-bang is not good, especially when you know you were the one with the flyer. 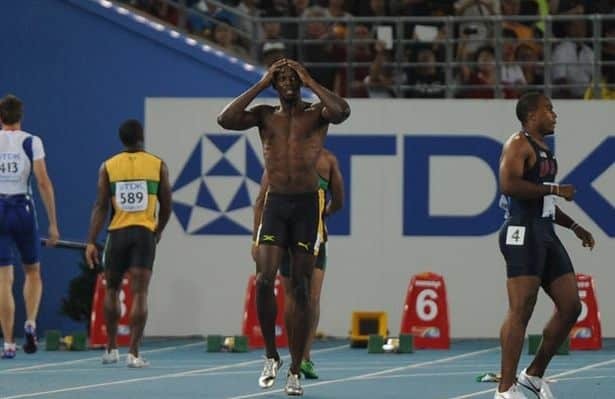 Who remembers Usain Bolt getting disqualified from the men’s 100m final at the 2011 World Athletics Championships? You have to be in the game to win, and being in the spectator seats is not good news. This, I hope, no one will ever experience, but it does happen. … and you’re a 100m specialist! Or a long jumper! Now those words can put fear into your heart!